While the death of comedy legend Gene WIlder is still very fresh, Hollywood has been finding ways to help honor the late actor. Now, Mel Brooks and Fathom Events have announced that they will be bringing Young Frankenstein, one of Wilder's most iconic movies, back to the big screen for one night only on Oct. 5. Not only that, but the event will feature a live intro from Brooks before the movie. Fathom made the announcement for the event recently, wich will be taking place in more than 500 theaters nationwide. The prospect of seeing Young Frankenstein in a theater again is exciting enough on its own, but the intro for the movie by writer/director Mel Brooks makes it a must see event for fans of both Wilder and Brooks. Here is what Fathom had to say about the event in their announcement. "Seeing the black-and-white masterpiece on the big screen with an audience is a rarity in itself, but to make this screening a truly one-of-a-kind experience, writer and director Mel Brooks will introduce the film live from the 20th Century Fox Lot in Hollywood, CA." As mentioned, the intro from Mel Brooks will be broadcast from the 20th Century Fox Lot, where much of Young Frankenstein was filmed. The intro is expected to include a tour of the lot, with stories about the movie from Brooks about the movie, and more specifically, Wilder, the star of the movie. Not only that, but the pair were very good friends and worked together quite a lot over the years, so it is very likely Brooks will reminisce about his friend and get a bit personal during the intro. It is hard to imagine anyone more qualified to honor Wilder, and that makes this event very special. 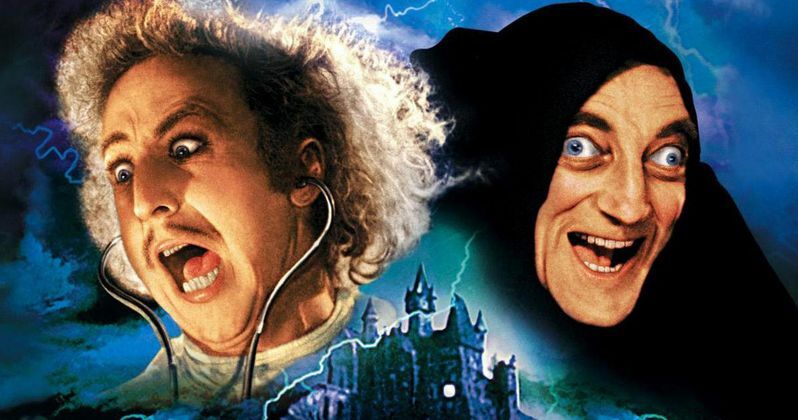 Mel Brooks and Gene Wilder worked a lot together over the years on many classic movies, but Young Frankenstein is easily one of their finest works. The move is regarded as one of the greatest comedies of all-time and was a huge success at the box office when it was released in 1974. The movie grossed $86 million on a budget of just $2.8, which would be considered a tremendous success even by today's standards. More impressively, when adjusted for inflation, the movie would have grossed $395 million, which would make it the 124th highest grossing movie ever on the worldwide adjusted list. Last Monday, icon and legend that was Gene Wilder passed at the age of 83, at his home in Stamford, Connecticut. His nephew, Jordan Walker-Pearlman, revealed that the actor died due to complications from Alzheimer's disease. Though his passing is tremendously sad, the recent re-releases of some of his classic movies, like Young Frankenstein, are a great way to honor his legacy and to help ease the pain. Be sure to check local listings to see where and when you can see Young Frankenstein on Oct. 5. Tickets are available for the event now.